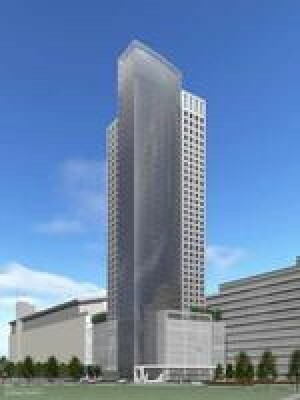 Nashua Street Residences is an approved high-rise building approved for construction adjacent to North Station and TD Garden in Boston, Massachusetts. The building will stand at 415 feet (127 meters) with 37 floors. Construction was slated to begin in late 2007, and scheduled to be completed by 2008, but the project has since stalled. Upon completion, it will stand as the 26th-tallest building in the city. The architectural firm who designed the building was Costas Kondylis & Partners LLP Architects. When completed, Nashua Street Residences will stand as the tallest all-residential building in Boston.